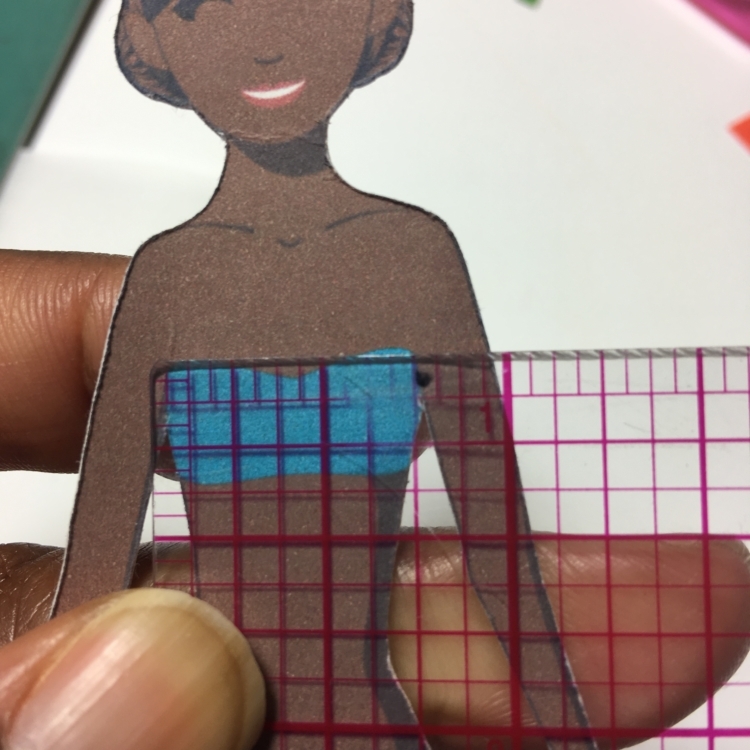 So for this week’s DIY, I thought I would bring it back to paper dolls again. I thought we would make a regular pleated dress this time. As always, it is fairly easy to do but is absolutely adorable. I am hoping to come up with a coupla different dress styles that my students will be able to pick and choose from. I will post a coupla more styles in the next coupla weeks. 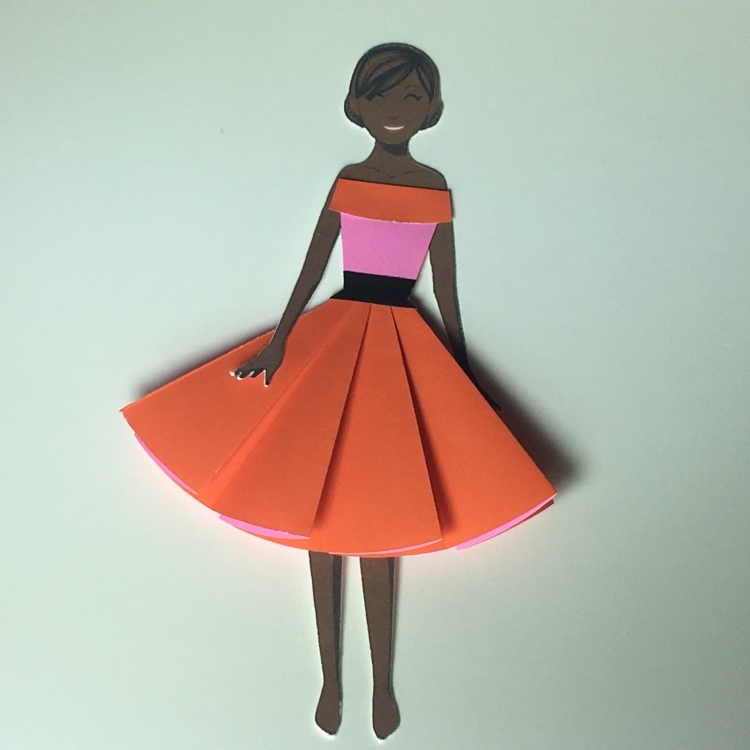 Check out the DIY below for the regular pleated dress. 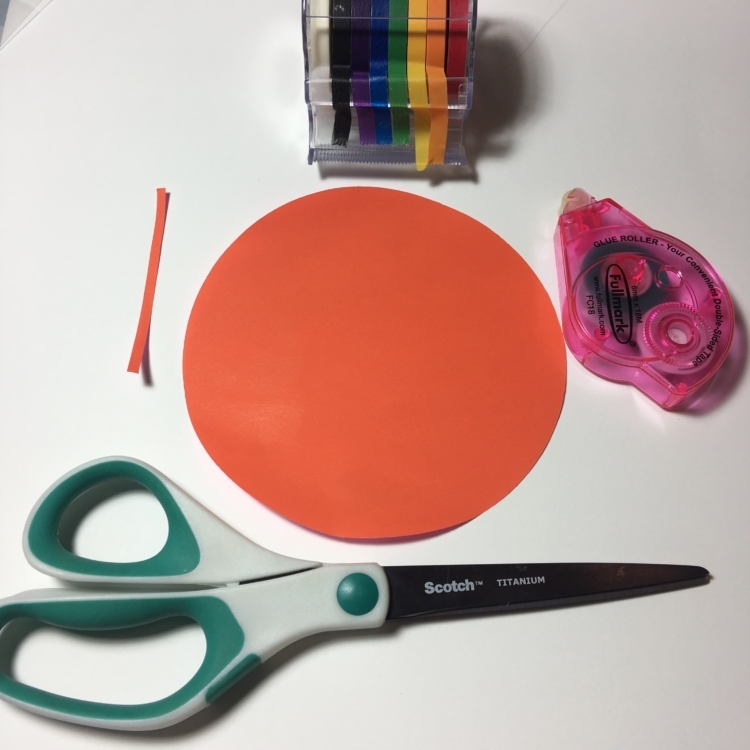 Supplies: 5″ wide double sided origami paper circle (for this tutorial, I picked one that is orange and pink), adhesive (I prefer to use adhesive tape), pair of scissors, 1/8″ wide colored washi tape for the belt. 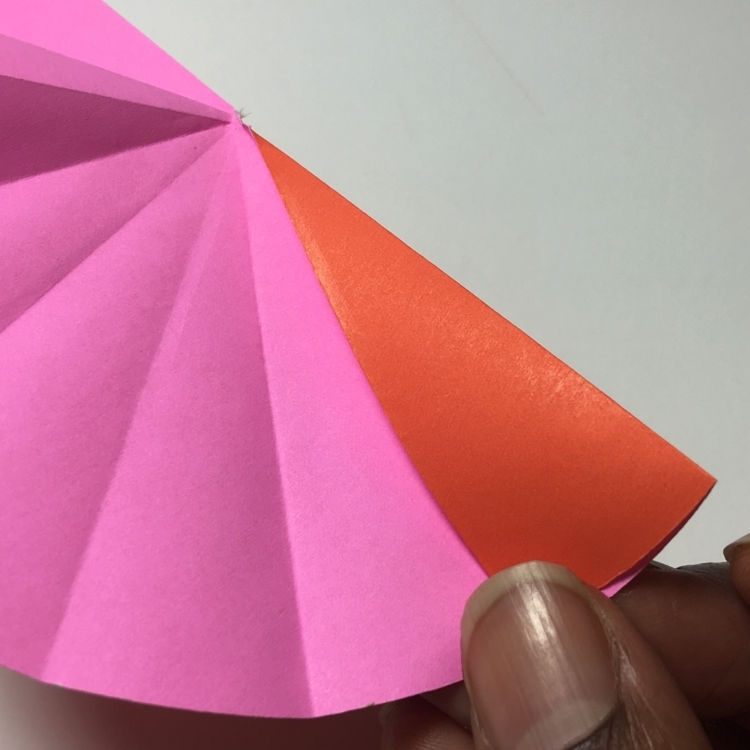 Fold the circle in half so that the curved edges line up exactly. 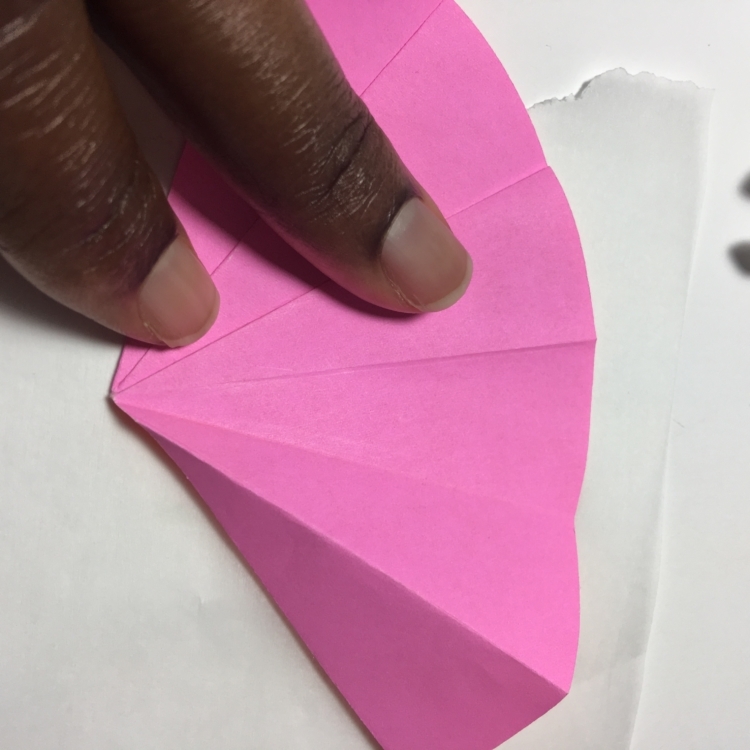 Create a sharp crease by pulling the folded edge between two finger nails. 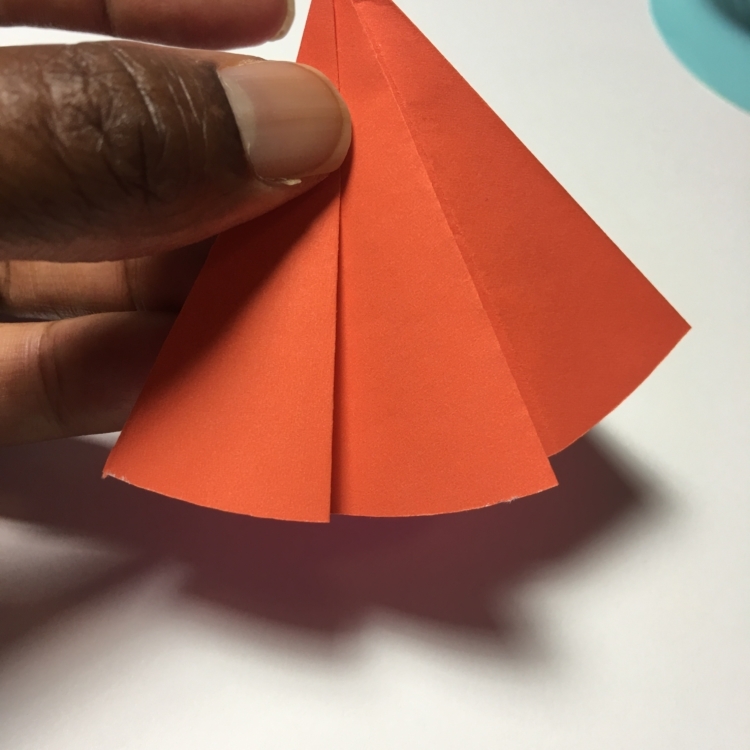 Fold the new shape in half to create a rounded edge right angle. Create the sharp crease on the new folded edge. Unfold the circle. 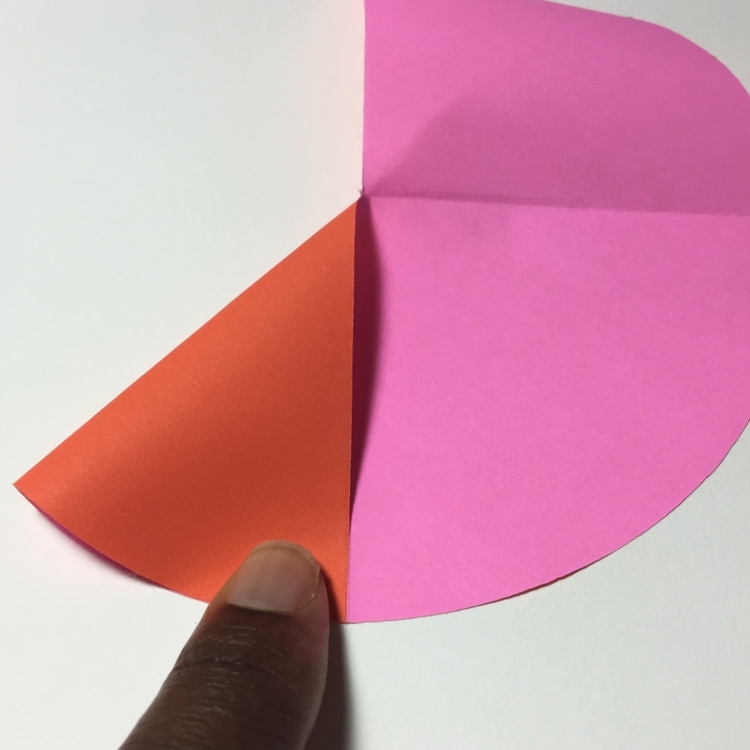 Cut off a quarter circle, using the fold lines as a guide and as shown above. Set the quarter cut piece aside for the top of the dress. Working with the big piece, divide each of the 3 quarter sections into 4 sections. You can start with any section but for this DIY I will be starting with the left most section. 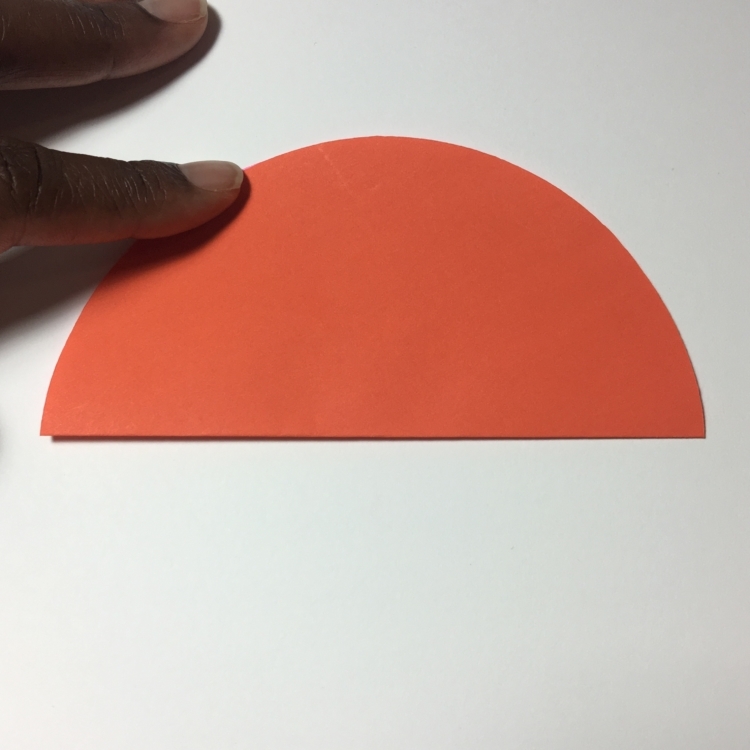 Take the cut edge and line it up to the leftmost fold line. 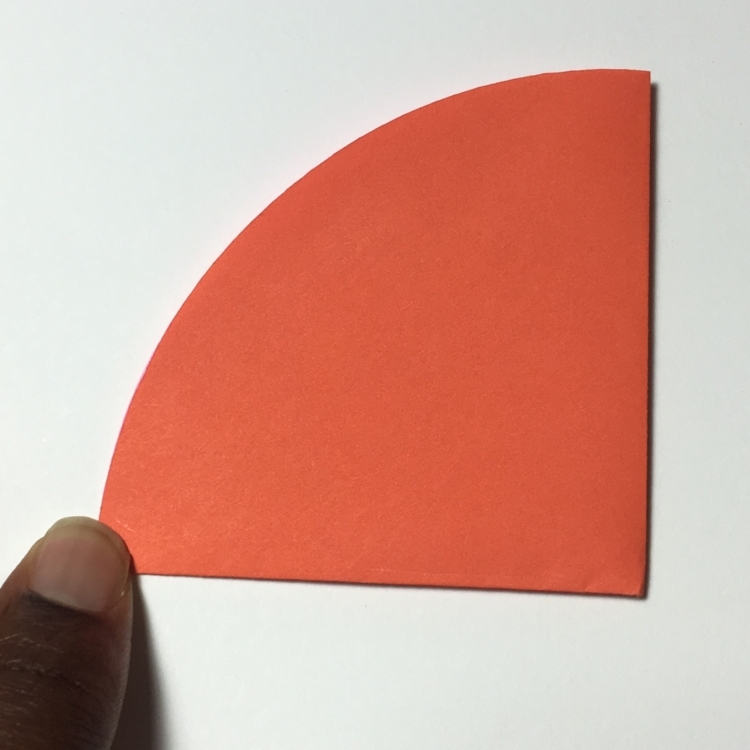 Create a sharp crease. 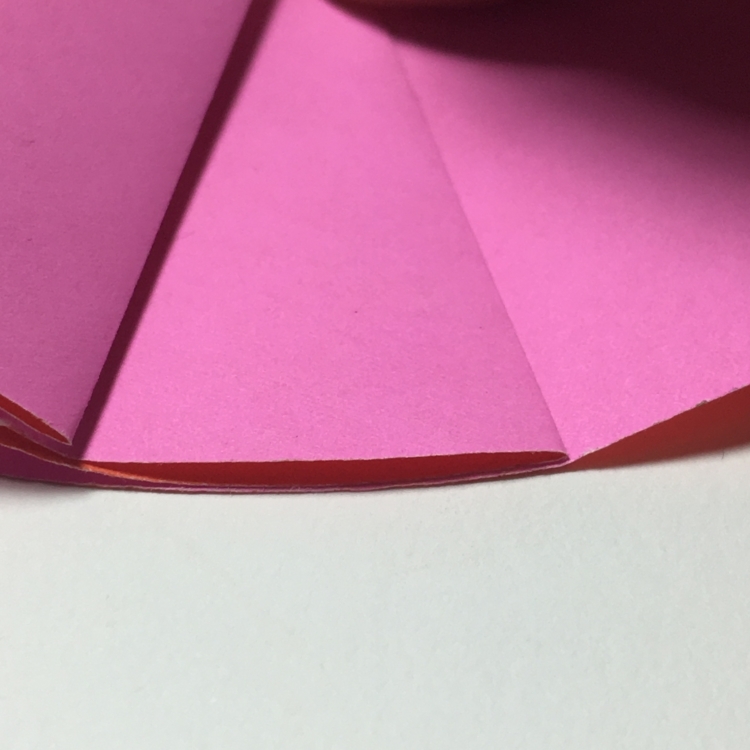 Fold the same section in half again making sure that the left most folded edge lines up with the cut edge. 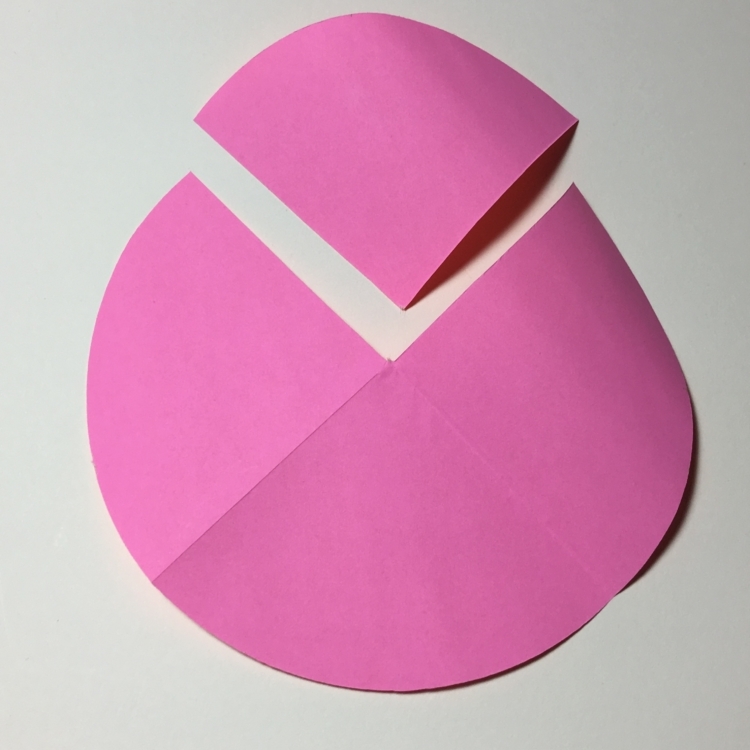 Repeat the folds on the other 2 sections so that each of the three quarter sections are divided into fours. This is what it should look like when you finish the folds and open it up. I have also included the numbered fold lines, which should make it easier it it comes to creating the pleats. 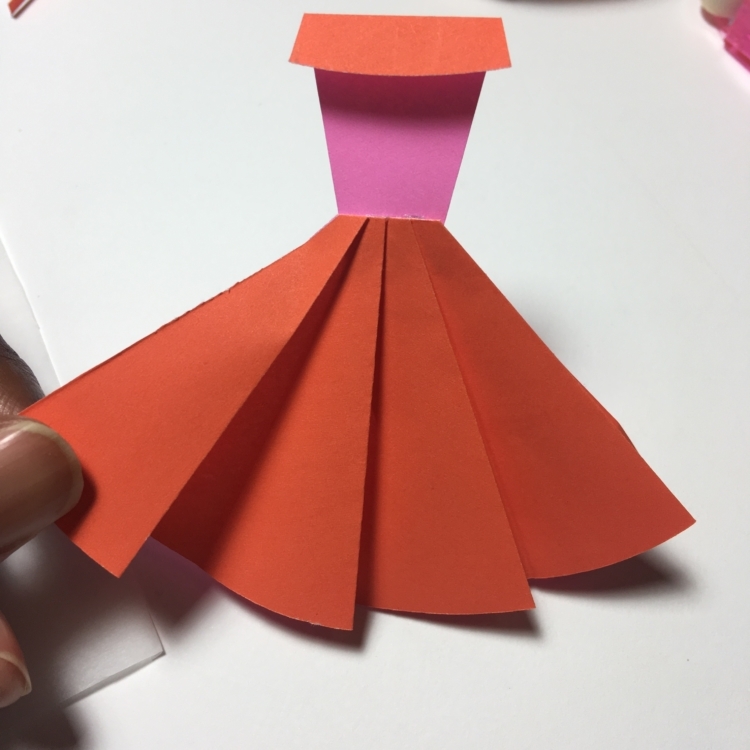 To create the basic pleat, start from the left hand side. 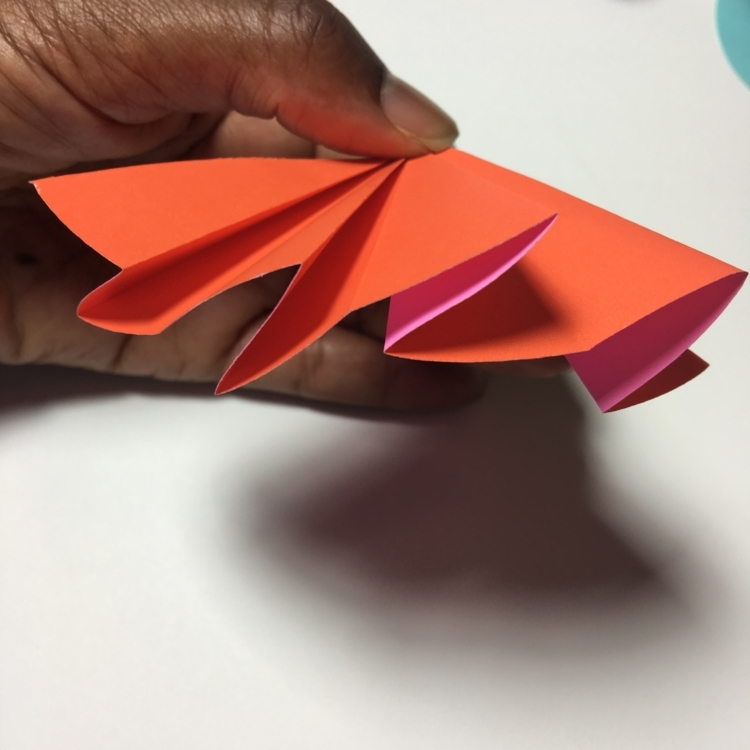 Fold the left cut edge to the back to line up with the 2nd fold line. 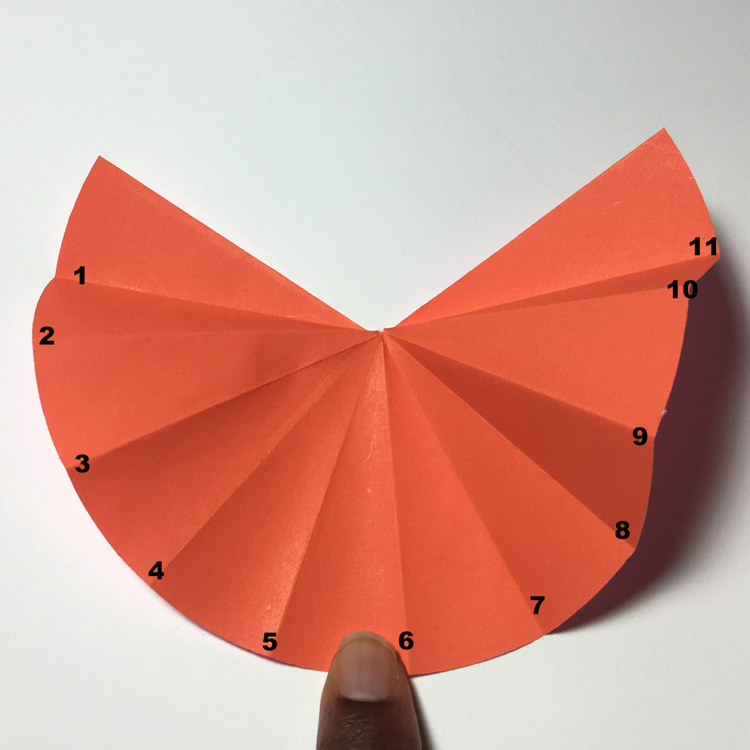 Using the numbered photo above as guide, the rest of the folding will go as follows: Make a mountain fold with fold line 4 so that 4 lines up with 6 on the top side and fold line 5 lines up with fold line 3 on the bottom, fold line 7 makes a mountain fold and lines up with fold line 9 while fold line 8 lines up with fold line 6 on the bottom and fold line 10 lines up with the right cut line and fold line 11 lines up with fold line 9 on the bottom. This is how it looks from the bottom/side of the dress. Time for adhesive. 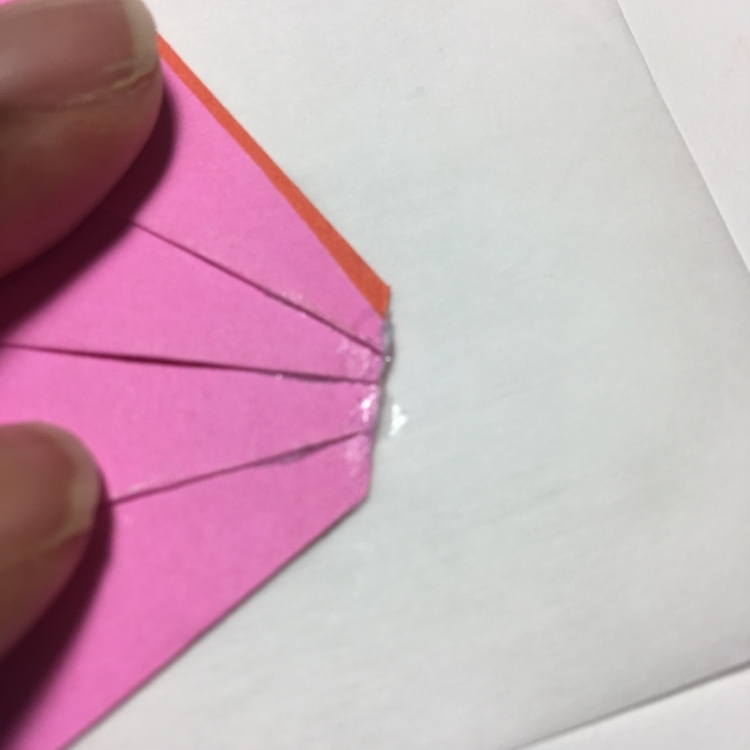 Open up each fold from the bottom. 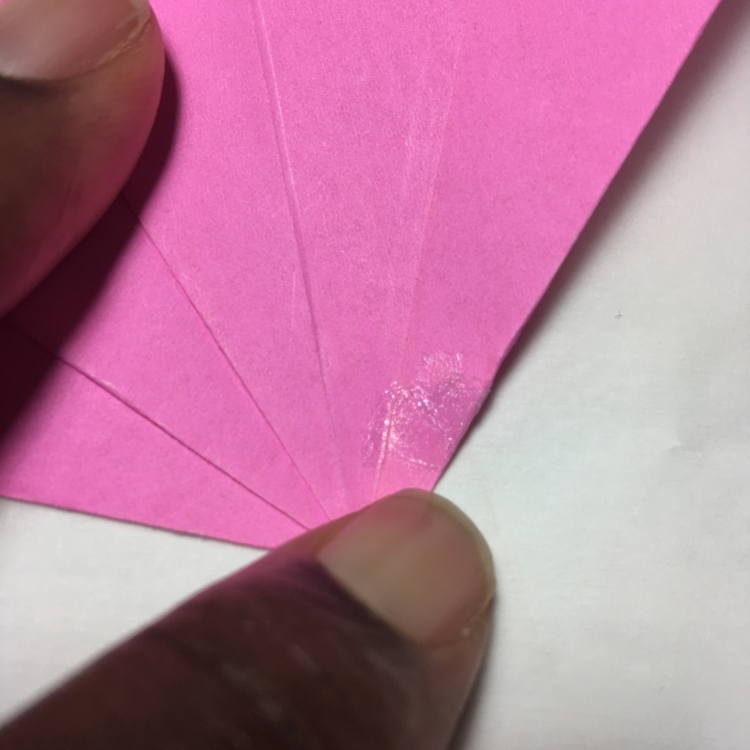 Add a little bit of adhesive in-between the folds as shown above. Re fold and set aside. Measure the chest to make adjustments to the top of the dress. Cut the top so that it is just a little wider than the chest . 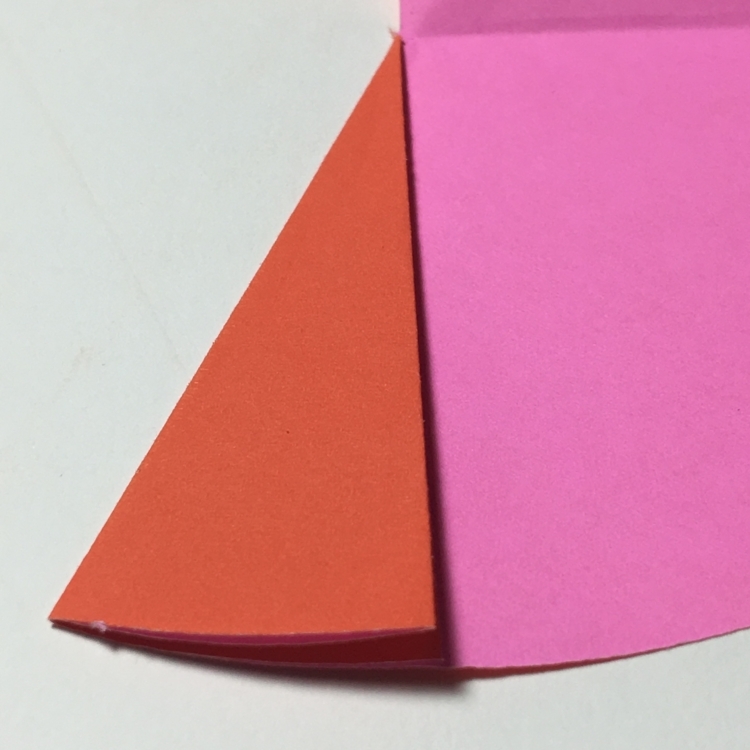 Fold about 1/4 from the top so that the opposing color is now on the same side as the contrast color. See above. I would also recommend adding a little bit of adhesive on the bottom of the top flap to keep it down. 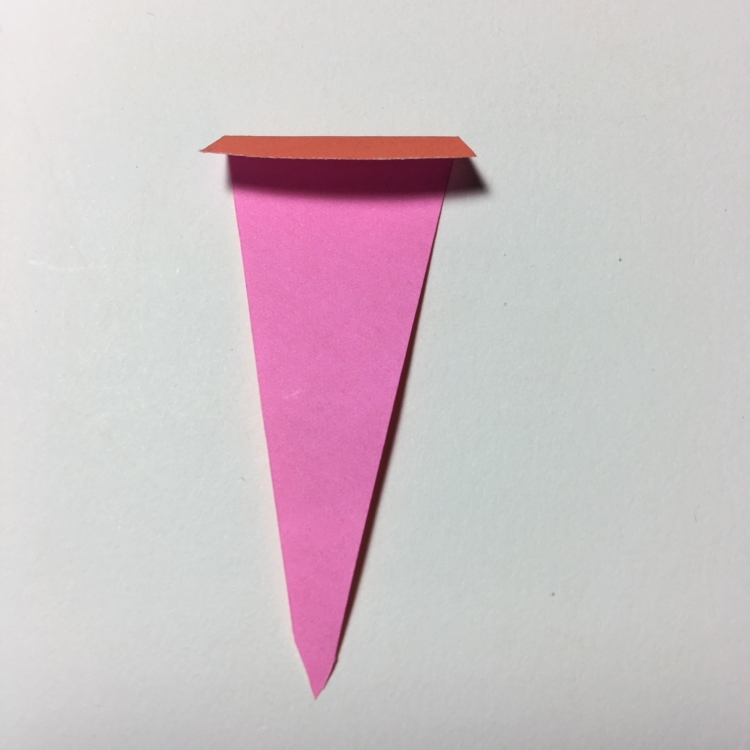 Add a dab of glue to the point area, about half inch in size. Set aside. Now back to the bottom of the dress: cut off the tip of the dress to create the waist line. Then add a dab of glue right on the top edge of the waist. Next adhere the top and the bottom of the dress. Line them up precisely before pressing together. I was initially going to use the washi tape as the belt but decided at the last minute to cut off a piece of black origami paper and glue it on using adhesive. All done. 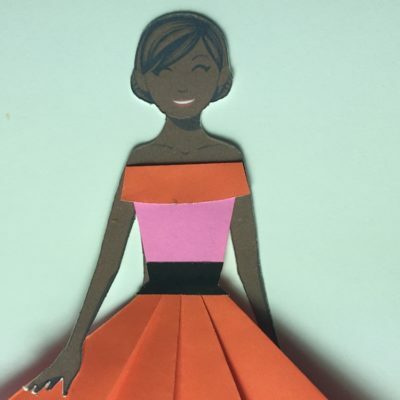 The paper doll looks fabulous! 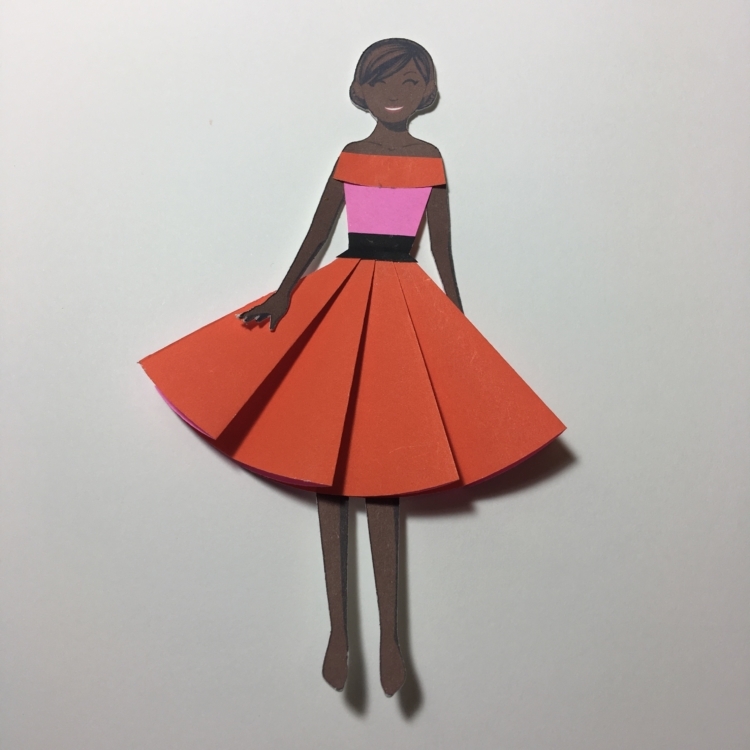 Paper doll is designed by Julie Allen Matthews. This is fabulous! 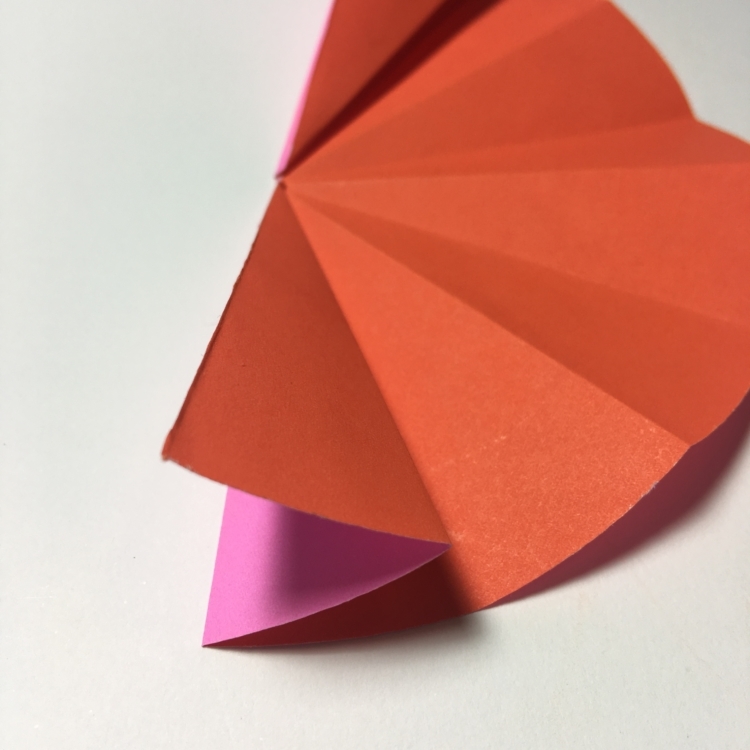 I love using paper to make things. I’m not as professional as you are, but I must say I’m inspired by your work. Thank you so much. Paper crafts are my first love so it makes me happy that my work can bring the same and inspiration to others.